reaConverter’s latest edition features optical character recognition (OCR) as part of the conversion process, allowing you to convert scanned TIFF images with text into searchable and editable PDFs. OCR is an advanced technology by which the software imitates how the human eye and brain work, recognizing certain patterns and characteristics in the input text and turning it into a searchable and editable digital copy. The feature is not limited to text, but also extends to recognizing formatting (columns, numbers, paragraphs etc.) and non-textual data, offering an accurate rendering of the input TIFF in the output PDF. Add one or more scanned TIFF images with text. 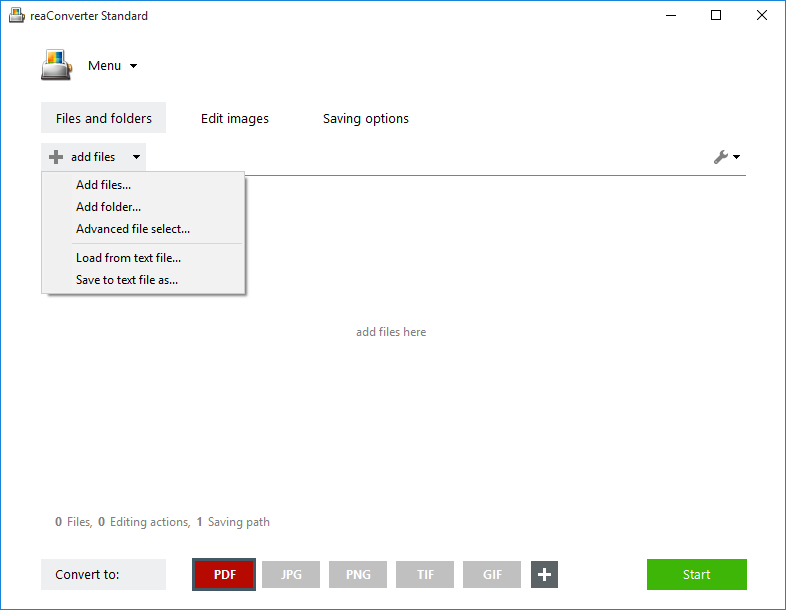 Use the drag-and-drop tool, add entire folders or use the Advanced file select option, which allows you to automatically load files of a certain size and extension from a certain location. Tick the box at the bottom of the window: Create searchable PDF in language. reaConverter lets you choose between 6 different language to perfect this feature. In the Saving options section, decide where you will save the output images — in a customized location, in the source folder or a subfolder. Finally, don’t forget to click the PDF button from the Convert to area, at the bottom of the reaConverter window. If you place the pointer on this button and then on the Settings icon that appears in its upper left corner, you’ll get a shortcut to the Format saving settings window described in the previous step of this tutorial. 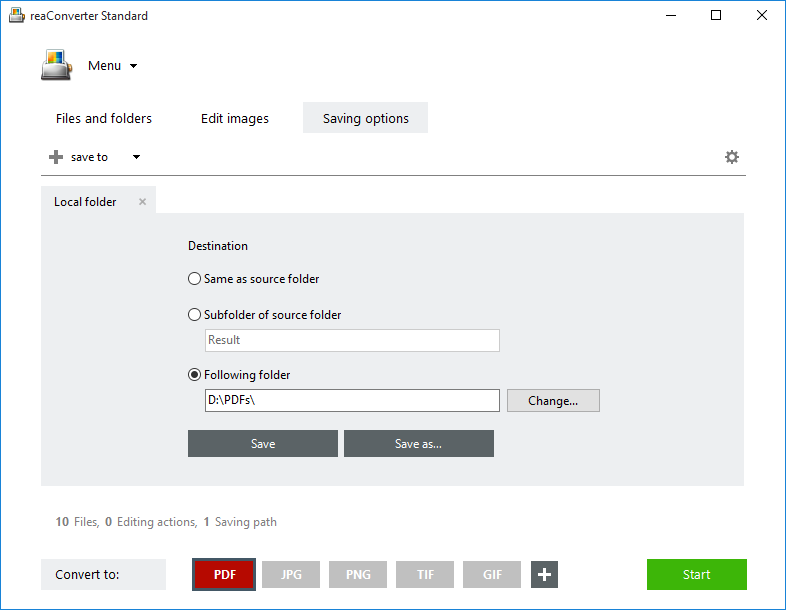 Use it in case you want to customize your conversion using any of the available options, for example PDF security settings. Batch image conversion into searchable and editable PDF can also be done via command-line or Watch Folders. In case you are a developer and want to include it in a custom software solution, reaConverter provides detailed steps of how this is done and a full list of configuration parameters here.